We know that lawyers, legal counsels, and other legal professionals don’t have it easy. In fact, your work is only getting harder. There is more and more regulation across all industries, and it’s your job to help companies deal with it. Legal tech startups are goading Big Law to change the billable hours model and are raising expectations. Clients and corporate directors demand you cut costs. Berkeley Bridge is trying to make your life a little easier. A little less repetitive and stressful. You can stop giving out the same advice day after day. You can stop drafting NDAs from scratch. You can stop going through the motions. Automating knowledge adds value, because it’s your expertise—multiplied. Let’s talk about how. Want to schedule a demo right away? Fill out the form here and one of our representatives will contact you as soon as possible. What are legal advice systems? Giving advice is virtually synonymous with the practice of law. While some of these cases may be irreducibly complex, many legal services can easily be automated. That’s what legal advice systems do. Lawyers and legal counsels can save many expensive hours on research and explanation. Clients and colleagues can expect faster service at a lower cost. By offering 24/7 legal advice tools, law firms can generate new revenue streams and create more value for clients by expanding their services. Legal advice tools collect the expertise that’s gathering dust in the heads of long-time employees, helping preserve their experience and transfer it to the next generation. With this expertise on hand, junior employees can learn and perform more high-value tasks. Advice tools make legal expertise available independent of business hours and busy schedules. Multiple users can be served at the same time. Legal advice tools mitigate human error or prejudice and guarantee uniformity in outcomes. Automated tools can also help mitigate prejudice and increase transparency. How are legal advice systems used in practice? We’ll talk about two concrete examples: one major law firm that developed a legal self-service toolbox, and another that helps banks and businesses deal with international trade sanctions. Building on the Berkeley platform, a major law firm recently developed a procurement tool that automatically assesses the risk associated with a particular contract. It puts a label of high, medium, or low risk on the contract. Low-risk contracts are fully automated, while procurement looks over the medium-risk contracts and only the high-risk cases end up on a legal counsel’s desk. This tool allows non-experts and other business users to perform legal tasks in order to unburden internal legal counsels and save on external spending. Also, it helps speed up much routine work and changes the position of a legal department within a company. Our second example concerns a tool that enables a rule-based, automated approach to help banks and businesses meet demanding regulatory requirements. The US and the EU have created a complex landscape of regulation in international trade in order to advance political goals. What’s new these past couple of years is not just the scope but the speed at which new sanctions are being imposed. The Berkeley platform allows compliance experts not only to create decision tools which allows business users to make the right decisions independently, but also easily update businesses on the latest regulations. Ensuring compliance at all time. 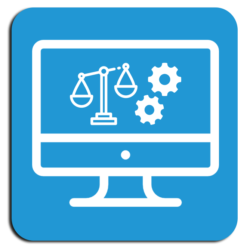 Want to learn more about how legal advice systems can help you achieve more in less time? Request a free demo here and one of our representatives will contact you as soon as possible. Document automation enables organizations to generate documents effortless and flawless. Based on a clear question structure in the form of an interactive decision tree, the user is able to answer simple questions about the document. Based on the user’s choices and input, the underlying system then selects the required elements and generates a document. In addition to all relevant text passages, this ready-to-use document contains the data entered, the correct clauses, and variables if there are any. What is document automation used for? Because all employees use the same texts and rules, document automation guarantees uniformity in quality, look, and feel. Document automation enables you to generate a whole set of documents in one go. An example of when this comes in handy is when there is a merger or takeover. Thanks to the centralized management of your documents, any changes are implemented quickly and easily. Frequently recurring texts and variables can be stored in a library so that they can be reused for various documents. Using document automation, documents can be generated in different languages immediately. 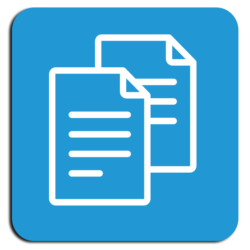 Document automation allows users to generate (complex) documents faster and easier. Want to learn more about how Berkeley Bridge can help you transform your legal documents into intelligent templates? Request a free demo here and one of our representatives will contact you as soon as possible.